A report from a range of European trade bodies has said that the continent should recycle or send to energy recovery all of its waste plastic. Plastics – the Facts from PlasticsEurope, EuPC, EuPR and EPRO shows that Switzerland currently diverts all plastic away from landfill, recycling just over 20 per cent and sending the rest to energy recovery. Sweden recycles the most in Europe with close to 40 per cent and less than 5 per cent sent to landfill. Germany, Austria, Denmark, Belgium, Luxembourg, Netherlands and Norway are the other countries with more than 90 per cent recycling or energy recovery. The UK recycles around about 25 per cent of its material, but its energy recovery from plastic is only about 10 per cent. The report says: “Landfilling used plastics reinforces the perception that plastics have little to no value and can lead to litter on land that may ultimately end up in the marine environment. 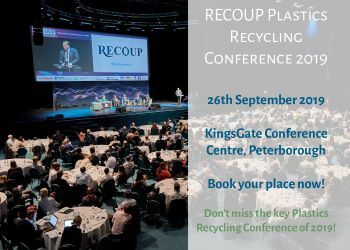 “The plastics industry is committed to diverting all plastics from landfill and we will advocate for plastics to either be recycled or used as a fuel in efficient energy recovery plants. The comparison between EU Member States is enlightening: wherever legal measures are put in place [such as] the UK’s landfill tax or Germany’s ban on landfilling combustible waste, then recycling and recovery rates rise. “Without such drivers waste owners will continue using the cheapest option and will unlikely pay more for recycling and recovery. Furthermore, such legal measures stimulate investment in state-of-the-art collection, sorting and recycling infrastructure as well as innovations which improve energy efficiency and create green jobs across Europe. The report also shows that progress is being made on a common European standard for recycling to produce a standard to evaluate the quality of post-consumer plastics in recyclates. This project began in September 2009 and should be completely by August 2012.